This is “The Next Big Thing”. It’s basically a self interview project/conversation that allows writers to reflect on their recent or forthcoming works by posting this interview on their website. I was just tagged by a very talented Brooklyn writer and literary-goddess-cat-loving-woman who I am also lucky to call a friend, Kate Hill Cantrill. Kate is a hero of mine because she knows exactly how to bravely apply her heart to a page (see Walk Back from Monkey School), and also how to encourage a community of artistic souls to do the same (Without her I’d never have befriended Sock Monkey’s Terence Degnan either!). Taking Kate’s mad skills into consideration, I hope my interview does this project justice! At the end, I (and all tagged henceforth), must tag up to 5 writers to carry on the interview torch. So stay tuned! TNBT: What’s the title of the project? 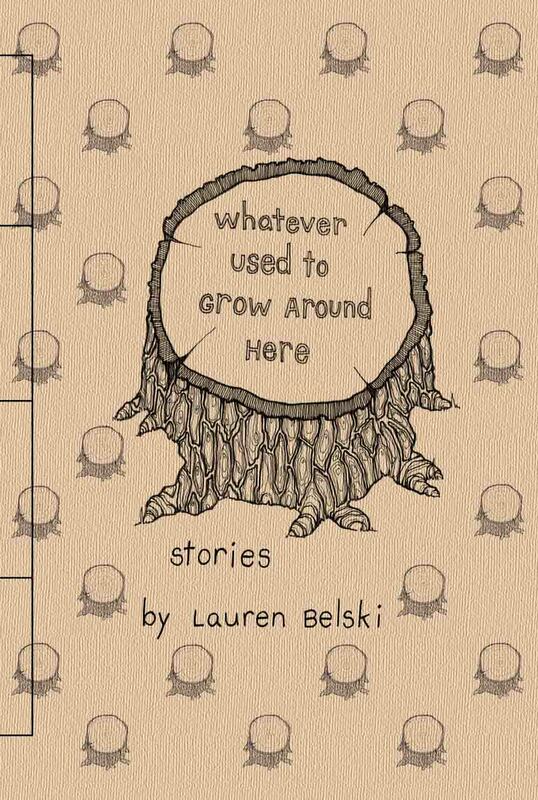 Whatever Used to Grow Around Here, a collection of short stories published by The Crumpled Press, 2012. TNBT: Where did the idea for the project arise? I was getting an MFA in Fiction at Brooklyn College and didn’t feel ready to tackle writing a novel. There was still so much I needed to learn about narrative structure and its relationship to language. And also, the concept that I was most drawn to writing about at that time—which I guess turned out to be adolescent/early twenties moments of “awakening” (or growing up in a changing landscape or, I don’t know, something) just seemed better filtered through a shorter form. The title itself came to me while riding on the subway. It appears in the last sentence of one of my stories and is one of the only sentences I’ve ever typed on a laptop in the subway. I was sitting next to my sister. I have no idea why we were on the upper east side. The word genre makes me nervous. So does the word humdinger. But I like the word pocket-sized. I wish everything was pocket-sized. Except then I guess I’d need an insanely large pocket—or would that mean my pocket was pocket-sized too? Anyway, my short story collection is 94 pages. Some of the stories are super short. Other ones are regular sized. And when they are sewn together in book form they fit into your pocket. TNBT: Who would you cast to play in a movie version of your book? Maybe the Muppets? I can picture an angsty, hipster version of Kermit and Miss Piggy in “Wilderness Jam”. And the rest of the Muppet ensemble would be great as the “thems” also stuck in traffic. TNBT: Give a one sentence synopsis of your book. I am so in love with you. Or, I am writing you this postcard from a beatnik’s liver. Both sentences appear in the final story in the collection called, “A Postcard from the Side of the Road,” and I think together demonstrate the hornlock of passion and paranoia that is my life. Neko Case’s album Furnace Room Lullaby taught me the ferocity and grace of a woman emoting. Virginia Woolf’s A Room of One’s Own and specifically the change in the hum of the cafeteria during wartime. Frida Kahlo’s paintings and the blur between the personal and the political. And, on a more life-as-art level, many of the amazing people I’ve gotten to grow up with and learn from (like the one on your right, who is my friend Laura Mae!). I love meeting people. We humans are so weird! And the gorgeous/gory/mundane narrative of our lives demands words. TNBT: What else about the book might peak the reader’s interest? 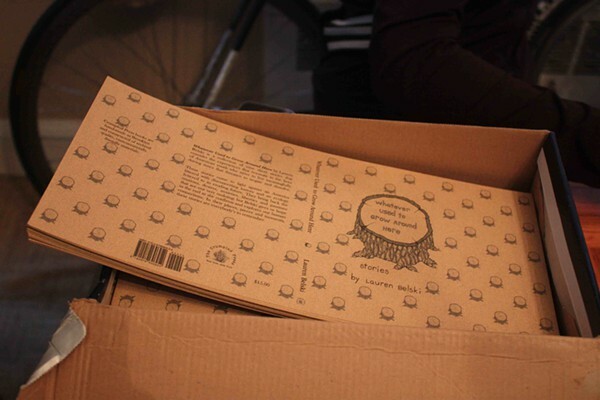 Each book is hand sewn with recycled, archival materials at publishing parties. Each bookmaker signs and numbers the copies he makes. So in a way, though the words are the same, each individual book has its own character. Also, the cover design was done by a very good friend of mine, the best college roommate a girl could ever ask for, Loni Gaghan, who also happened to make my wedding dress. TNBT: How/who is publishing your book and are you represented by an agency? So far I am agent-less. I’m not sure how people get agents. Agents to me seem a little like boyfriends did when I was in middle school. But even all on my lonesome, with the help of Poets & Writers, Google, and a Coney Island psychic, I managed to find a publisher in Jordan McIntyre at The Crumpled Press. Jordan understood the vision of my book and really helped me carry the project to fruition. I really recommend the small press route for those who feel they have written something that doesn’t quite fit the commercial mold. My next project, a collective collection of fiction written with my writer family the Trouts is called The Trout Family Almanac. 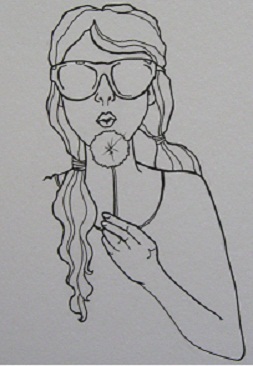 It’s going to be published by Papercut Press, another small operation out of Brooklyn, in Fall 2013. Long live the little guys! 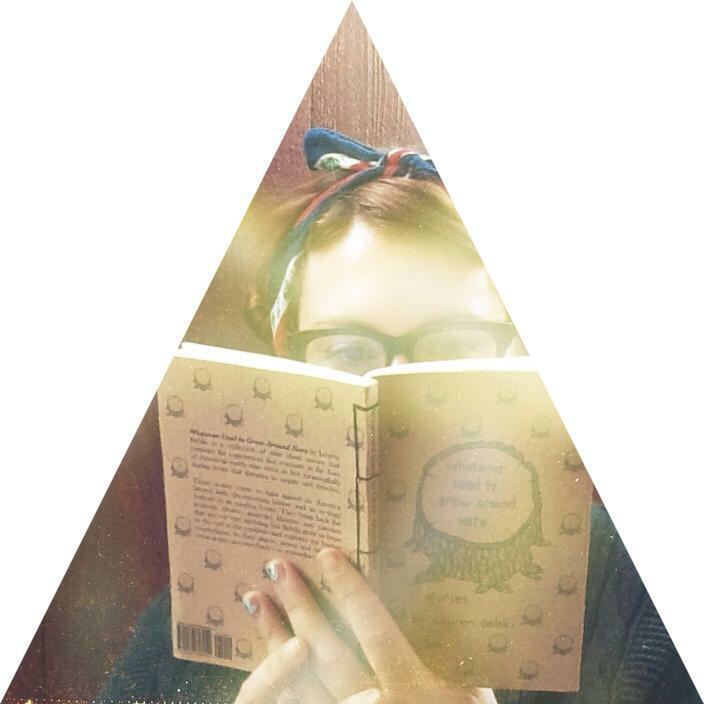 ← Support a local bookstore! “We humans are so weird! And the gorgeous/gory/mundane narrative of our lives demands words.” – I agree and I thank you for giving words to the messiness/loveliness that is life! I love this, Lauren. And I also love your collection. I’m so happy I was able to grab a copy at AWP. Brava!